At some point, Australian Lego fans are going to get very cranky with Babyology as we keep finding cool Lego stuff that can’t be shipped to Australia! Here’s some more to add to your Lego wish list and I think these finds are the best so far. From Britain’s The Glow Company come a range of Lego man torches. 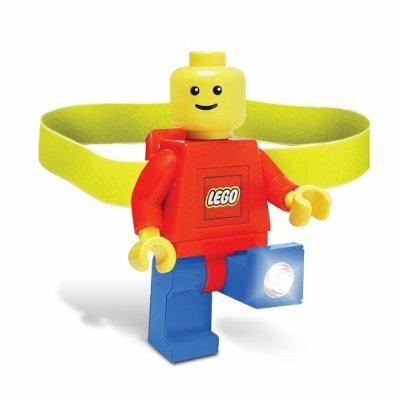 There’s a Dynamo torch which works by winding the Lego man’s arm to shine light through his feet – no batteries required. Better yet, you can angle his legs in different directions for two beams of light. There is also a Lego man lantern and a very cute keyring torch but my favourite is the Lego headlamp. Even the designers admit you may look completely insane with a Lego man strapped to your head but at least you’ll be able to see where you’re going (and perfect for kids who want a friend with them in the dark!). Prices range from £5.98-£14.41 but The Glow Company does not ship to Australia so a freight forwarder is needed if you want a Lego man lighting your way.